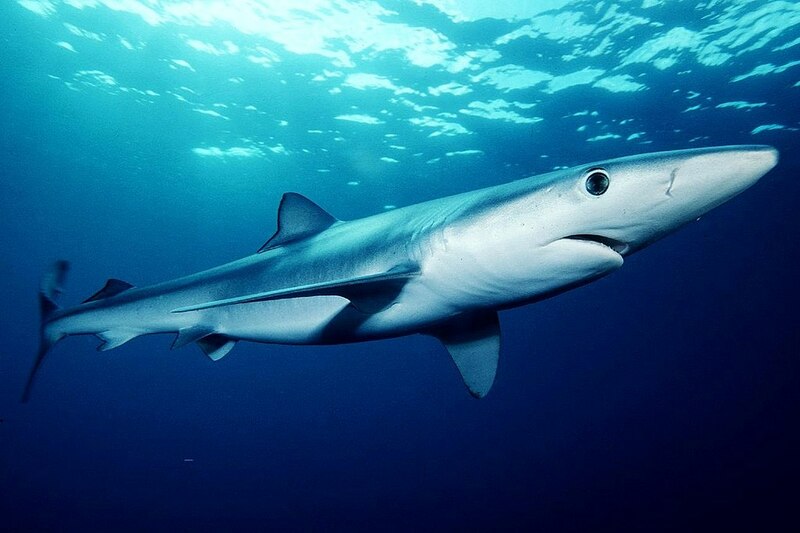 “The Mediterranean and Black Seas have historically harboured a high diversity and abundance of sharks and rays, but now between 53 per cent and 71 per cent of them face an elevated risk of extinction,” said Madeline Cashion, lead author of the study, who carried out the research at the Sea Around Us initiative at UBC’s Institute for the Oceans and Fisheries. By not keeping track of the different species of sharks and rays that they are bringing to port, countries may be further threatening those already at risk. Global vs. regional (Mediterranean Sea) IUCN Red List statuses of the 16 shark species reported in domestic FAO landings statistics by Mediterranean countries from 1950–2014. 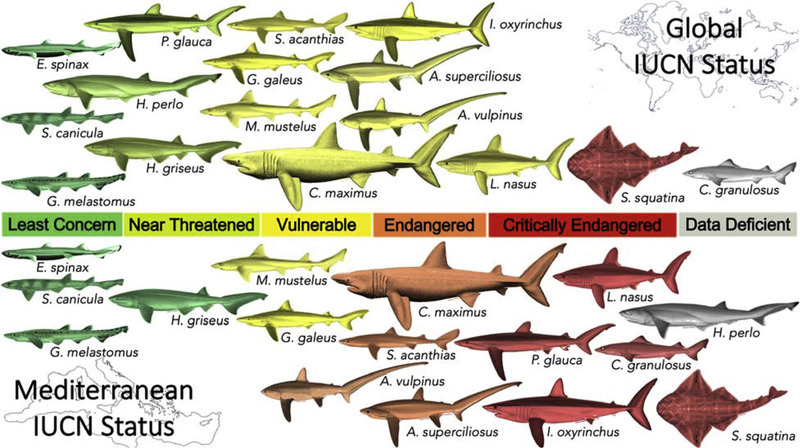 At least half of these sharks face an elevated risk of extinction in the Mediterranean Sea than they do globally. Illustrations courtesy of Marc Dando. Despite the lack of reporting, Cashion found in her research that sharks and rays have become increasingly rare following centuries of exploitation and the more recent expansion and intensification of fisheries in the Mediterranean, in particular of the non-European ones. In many cases, catch data is the only source of information to know if species still exist where they were historically found. Given the threats posed by the fishing industry to at-risk sharks and rays due to the lack of specific information, the researchers call for a better implementation of existing data collection and reporting policies. They also call for official statistics to start accounting for fish that are caught and thrown back into the ocean and those that are caught incidentally. The study “Official catch data underrepresent shark and ray taxa caught in Mediterranean and Black Sea fisheries” was published in Marine Policy. https://doi.org/10.1016/j.marpol.2019.02.041.